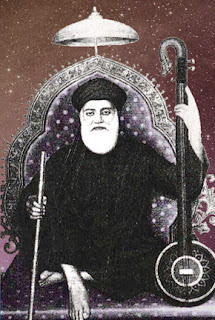 Hazrat Sufi Sachal Sarmast ‎رضي الله عنه , one of the great mystics of Sindh, is known as the second Hazrat Mansoor Hallaj ‎رضي الله عنه because of his poetry and philosophy. 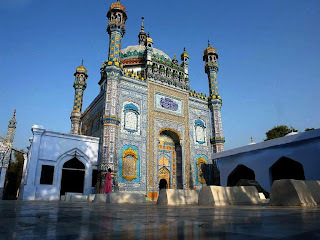 Sachidino, Sachoo(the truthful) and Sachal Sarmast were all names given to Hazrat Abdul Haq Farooqi because of the radical sufi pursuits with which he challenged the rigid mindset of the clergy of his times. Also called 'shair-e-haft zaban' because he wrote poetry in seven languages - Sindhi, Urdu, Persian, Punjabi and Balochi among them - His time saw the decline of the Kalhora dynasty and the rise of the Talpur rule in Sindh. The clergy held tremendous power over the impoverished masses and the persecution of religious minorities was the order of the day. Sufi Sarmast revolted against the mullah order with his poetry and philosophy, based on the doctrine of An'al Haqq - I am the Truth. Though his verses immortalized him, he was denounced as an infidel and sentenced to death - a decree that was never carried out due to his popularity in the court of Talpur rulers. 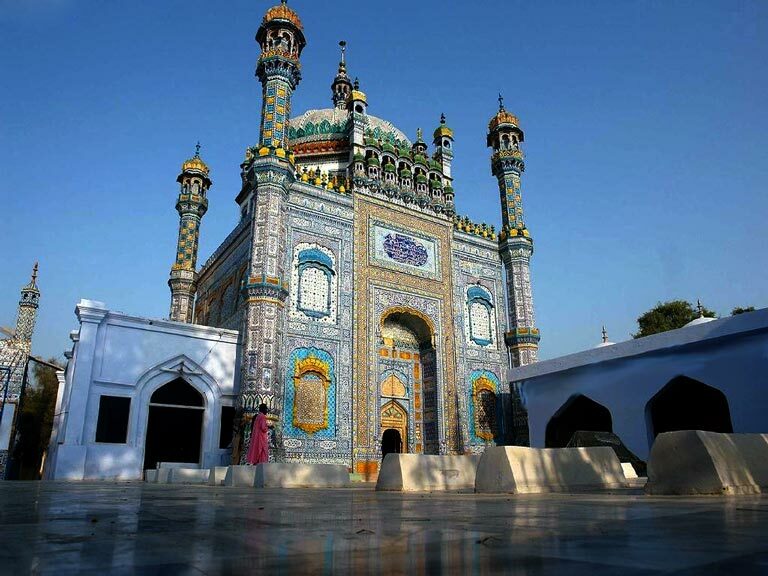 Hazrat Sufi Sachal Sarmast رضي الله عنه belonged to the sufi sect whose doctrine was martyrdom. The name Sachal Sarmast can be translated as Mystic of Truth. He is sometimes called Sachoo, The Truthful. His teachings have often been compared with Hazrat Mansoor Hallaj ‎رضي الله عنه, the Sufi martyr who ecstatically proclaimed, "I am the Truth." Rather than blindly following tradition, Sachal urged people to seek the truth directly. And like ibn Arabi and others, Sachal Sarmast taught a vision of Unity called Wahdat al-Wujud, which others have compared to the great nondualist teachings of Advaita Vedanta within Hinduism and Zen/Chan within Buddhism. Couplets would pour out from his lips, which his followers or fellow dervishes would immediately inscribe. Sachal is well known for his kalam as well as kafis conveying his spiritual message in haunting melodies. Sachal preferred solitude and silence. He never traveled out from his village Daraza. He was very simple in his attire, lifestyle, and eating habits. Soup and yoghurt were his favorites. He slept on a bare wooden bed. He was a humble man with long soft flowing hair, and penetrating eyes. He wrote mystical poetry in Arabic, Sindhi, Seraiki, Punjabi, Urdu, Farsi (Persian) and Baluchi. Three days before his death, he retreated in a small enclave where he finally became one with the Truth on the 14th day of Ramadan in 1829 at the age of 90. He was buried at the same place that was later on made into a beautiful and well-decorated shrine. For the talk of false friendship we care not. There is only what I see everyday! Our bond was made for a reason. Sisters, if your trust I have. ‘Tis love I live in. When love comes to you. Sachal is lucky everyday, love is all around him. You by yourself, know what is in your form! Why chant 'Allah Allah'? Find Allah within you. There is no doubt, O Sachal! that the Lord is One! We are, what are we? We know not, what we are! What other contracts can we make here?